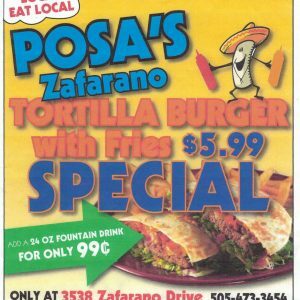 The tortilla burger special is back at Posa’s on Zafarno. Come to our conveniently located restaurant in the Zafarano center to get a delicious tortilla burger special. This delicious special runs for a limited time only. 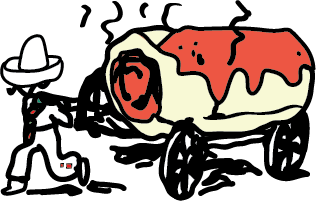 Come get the delicious chile and cheese smothered burger wrapped in a fluffy tortilla and served with crispy french fries, all for only $5.99. You can even get an ice cold fountian drink to quench your thirst for only 99 cents! 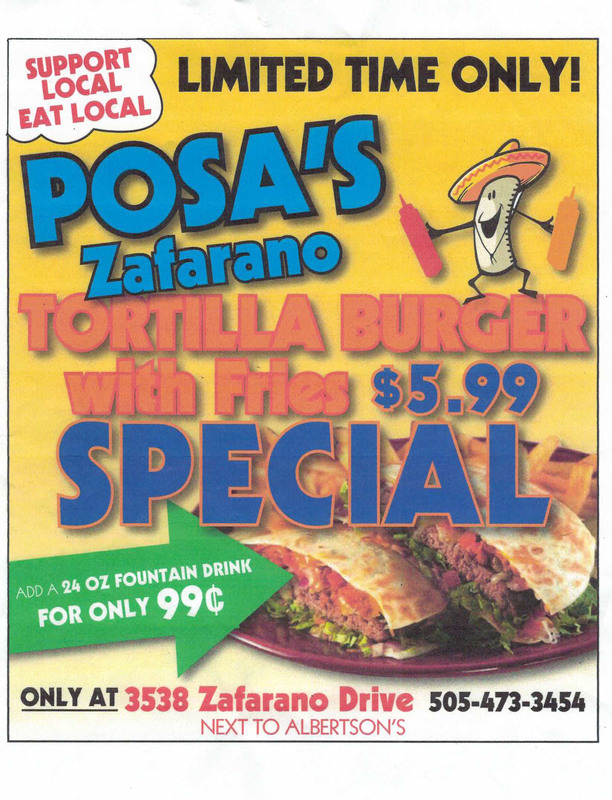 So don’t wait come over to Posa’s on Zafarano and get our delicious lunch spacial, available for a limited time only.